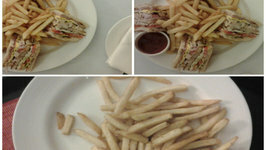 Perfect and filling club sandwich. 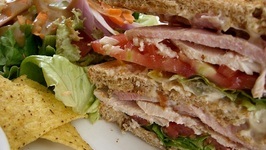 When bread, chocolate, biscuits, choco chips, butter club together for a sandwich, need we say more.. Just go for it! 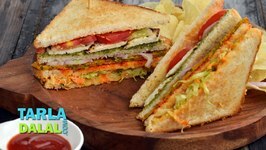 This irresistible veg club sandwich will be your family's favorite snack. 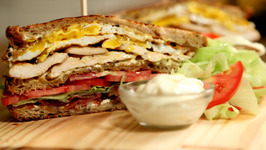 This copycat recipe is piled high with Virginia ham, shaved turkey, melted cheddar and Jack cheeses with Applewood smoked bacon, lettuce, tomato, mayo and a drizzle of ..
A treat for your eyes and your stomach - the Club Sandwich serves you a completely fulfilling breakfast, with toasted bread, usually cut into quarters covering two layers ..
An easy and quick preparation of chicken sandwich, which is quite delicious as well as nutritious. 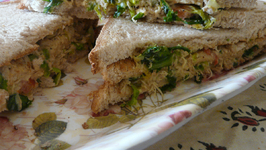 Ideal for your office lunch pack or a lazy winter lunch. 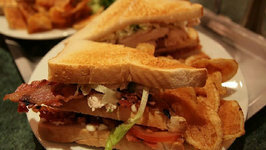 In this video, Betty demonstrates how to make a Grilled Club Sandwich, using a George Foreman Grill. 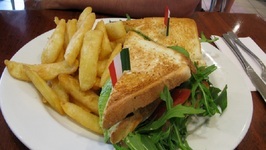 The sandwich has the standard elements of a club sandwich (except for ..
Who doesnt love a good BLT? Come on!! I know I do. 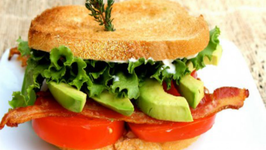 This BLT (if you can even believe it) is better than the original.